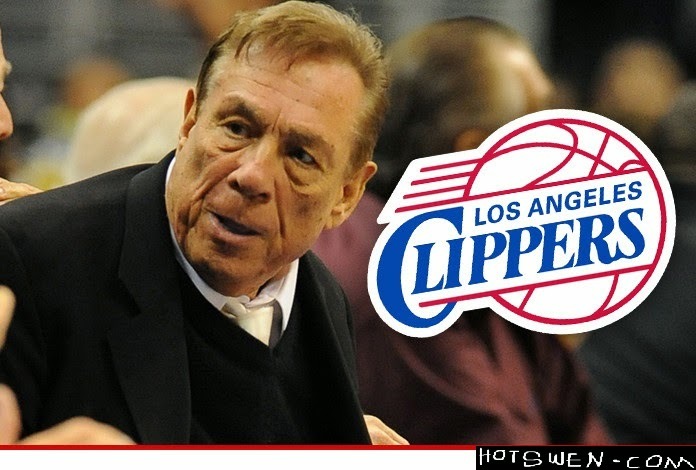 HOT SWEN : COURT ORDERS WHITE BASKETBALL TEAM OWNER TO TURN BLACK WITHIN 7 DAYS. Donald Sterling was caught on tape making annoying racist comments to his mixed race girlfriend after she posted a picture of herself with basketball legend, Magic Johnson, on her Instagram page. The 81 years old racist told his girlfriend never to bring black people to his games again. The tape was leaked and went viral on the internet causing the World High Court to sit on it and pass a judgment against Donald Sterling. The court has instructed Mr Sterling to turn black within the next seven days or be permanently remanded in a monkey reserve for the rest of his life. Unconfirmed reports reaching HotSwen Media is that Mr Sterling has already started making serious efforts to contact Nigerian actor , Baba Suwe to find out the quickest way of turning very black . Trust HotSwen Media to bring you more news on this soon.